How much data is the NSA really capable of collecting? The US National Security Agency may not be collecting as much phone data as was previously reported. According to the Wall Street Journal, the agency collects and stores less than 20% of all phone call data. Compare that to reports from December 2013 that claimed the NSA was storing records of 5 billion phone calls per day. The latest report states there are a few things keeping the agency from collecting that much data. For one thing, it's said that the NSA can't keep up with the growth of mobile phone usage. The agency has also reportedly had difficulty determining how to extract location data from phone calls, information that directly contradicts previous reports. In addition, data requests made to phone companies cover only a small number of available records. 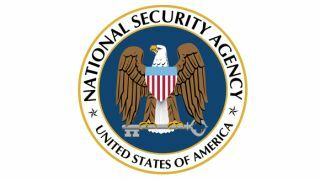 Finally, court proceedings over the last year have reportedly sapped the NSA's resources, making phone record data collection far more difficult than the agency would probably like. In addition, changes set in motion by President Obama in January are soon to take effect, further neutering the agency's efforts. At least two measures have reportedly been approved by the secret Foreign Intelligence Surveillance Court; The NSA now needs to get court approval to access a person's phone records, and it can only seek records concerning people who are no more than two degrees separated from their main target. Previously that limit was three degrees of separation. But are Angry Birds and Google Maps yet safe from government spying?